In Namibia has 20 state-run protected areas comprising nearly 17% of the country's total land area. 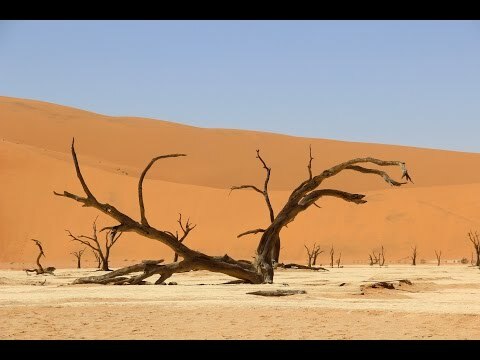 Despite its arid lands, Namibia is rich in biodiversity. To date, it has 20 state-run protected areas comprising nearly 17% of the country's total land area. These protected areas are a centerpiece of Namibia's tourism industry, which in turn sustainably supports the country's economic development. National parks and other protected areas serve as important reservoirs for biodiversity and environmental health. But such landscapes do not limit wildlife movement, plant dispersal and climate conditions – underscoring the interrelationship between landscapes and ecosystems which extend across the boundaries of protected areas. Rehabeam Erckie, chief control warden at Etosha National Park observes that "Previously, the parks were managed in isolation. For example, in Etosha you just protected the boundary. But as we know, wildlife doesn't know the man-made boundaries. Equally, the vegetation you find inside the park, you also find outside the park. Therefore, it just makes much more sense that you protect biodiversity in the complex manner, in a bigger, wider area." Conventional approaches to protected areas are insufficient to prevent biodiversity loss, land degradation, and consequent economic decline. That is why Namibia is working to take conservation beyond its traditional boundaries. 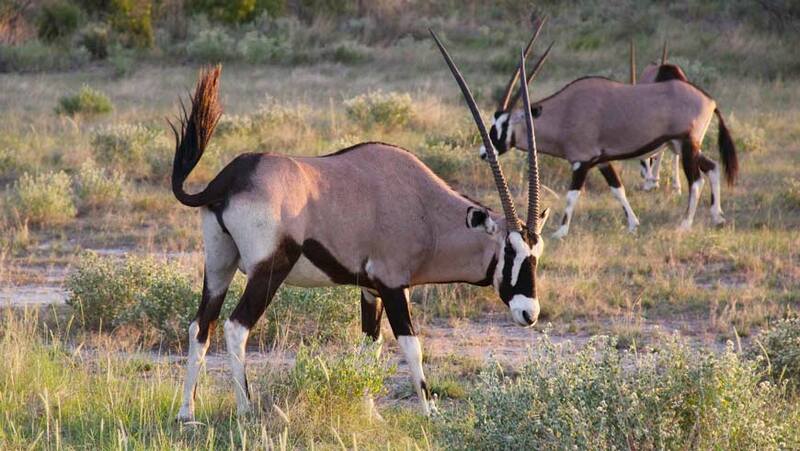 Through the creation of communal conservancies, Namibia is one of the few countries in the world where landowners have come together to manage the ecosystems at the landscape level using private land for conservation. With the support of UNDP, the Global Environment Facility-funded Namibia Protected Landscape Conservation Areas Initiative (NAM-PLACE) makes it possible for the Namibia Ministry of Environment and Tourism, and Namibian Directorates of Regional Services and Parks Management, to keep biodiversity in balance with human activities. The Government agencies are working to lift conservation barriers and advocate for the establishment of a large-scale network of protected landscapes in order to address imminent threats to habitat and species loss. "We want to tell the landowner next to the protected areas that what the park is doing in terms of biodiversity conservation is not completely in the opposite with what you're doing with your own land use. So, we're trying to get the two stakeholders, being the protected area and adjacent land, to develop a form of mutual, compatible land use." Laudika Halueendo, the Environmental Landscape Specialist from NAM-PLACE Project. Specifically, resources from the Global Environmental Facility are being used to ensure that Namibia's biodiversity and ecosystem values are conserved and will continually provide benefit flows at local, national and global levels. The Government recognizes that when biodiversity is endangered, the environment ceases to support economic development and the people who depend on it. NAM-PLACE is enabling the Government to take action in five demonstration sites: The Mudumu Landscape in north eastern Namibia, The Greater Waterberg Landscape in central northern Namibia, The Greater Sossusvlei – Namib Landscape in south western Namibia, The Greater Fish River Canyon Landscape in southern Namibia and The Windhoek Green Belt Landscape in central Namibia. In each of them it is supporting different interventions tailored to the needs of the site, from increasing security, to tackling water scarcity and pollution, to incentivizing game meat production vs. cattle. The long term solution to protecting biodiversity requires that land uses adjacent to protected areas are also compatible with biodiversity conservation aims. As part of this, land management needs to be coordinated by the different land holders in pursuit of these biodiversity objectives. The Government is seeking to address this need for coordination through the creation of Landscape Conservation Areas (LCAs) in select sensitive areas. Resources have already been allocated for 15,550km2 of newly created LCAs and are supporting the creation of additional adaptive collaborative management frameworks such as the National Policy on Protected Areas' neighbors and Resident Communities to work with those on the periphery of protected areas. Collaborative management committees, with the participation of both protected areas staff and local landholders, help smooth the transition from LCA to the wider community. The collective governance structure is further strengthened with the roll-out of incentives and cost/benefit sharing arrangements which ensure equitable benefit sharing amongst stakeholders. This extends to business plans for wildlife stocking, biodiversity-friendly production systems, and a certification and verification system developed for game supply chains, all of which culminate in new market opportunities for local communities and wider Namibia. NAM-PLACE ensures the establishment of Landscape Conservation Areas is supported, and also ensures that adjacent land use is compatible with biodiversity conservation objectives. NAM-PLACE has worked to create wildlife corridors to sustain the viability of wildlife populations in Namibia. This successful project is working to support both Namibian biodiversity and sustainable, long-term economic development. For more information on the project, please visit: www.landscapesnamibia.org/namplace-project.